Click image to enlarge Green Lake, Ridgefield, Washington. Image taken _____. Green Lake lies on the floodplain of the Columbia River at approximate River Mile (RM) 95. To the north lies the main body of the Ridgefield National Wildlife Refuge and to the south lies Shillapoo Lake and Vancouver Lake. To the west lies Lake River and Post Office Lake, while to the east lies the basalt ridge which gave the community of Ridgefield its name. 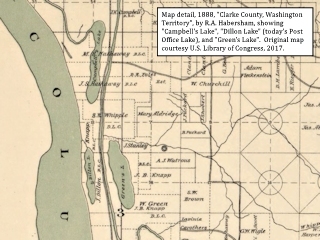 On the 1860, 1862, and 1863 cadastral survey maps (tax survey) for T3N R1W, Green Lake is shown as "Green's Lake". 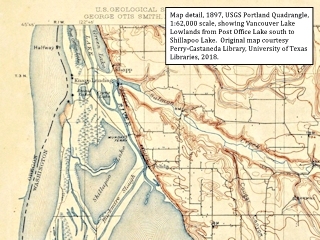 Lake River is shown and called "Vancouver Slough". 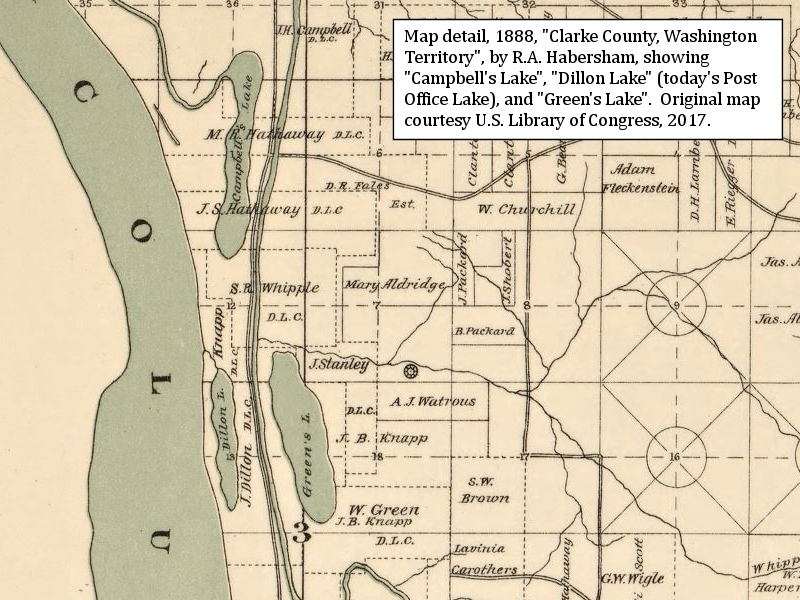 The 1888 "Clarke County, Washington Territory" map by R.A. Habersham, shows "Green's Lake". The U.S. Bureau of Land Management's General Land Office (GLO) Records database (2018) shows William Green was granted title to 323 acres of T3N R1E, Sections 18 and 19 on August 7, 1878 (1850 Oregon-Donation Act). 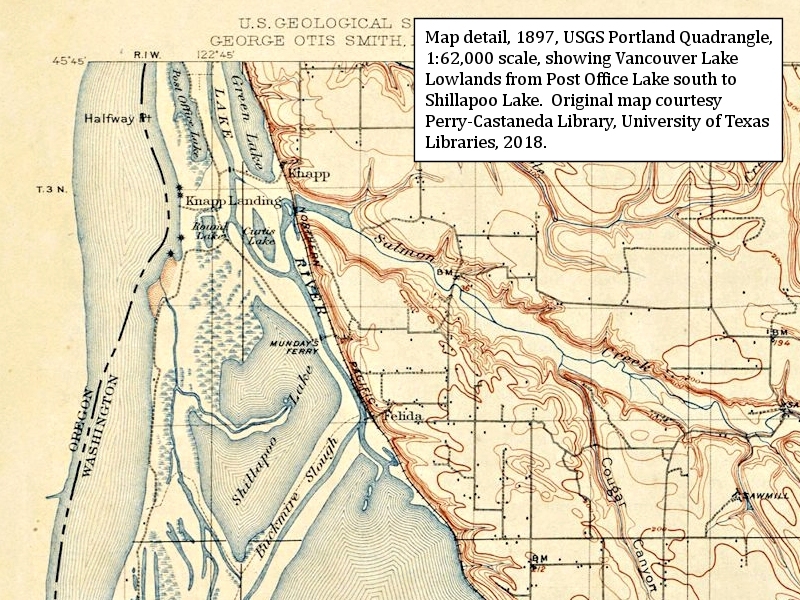 The 1897 U.S. Geological Survey's 1:62,000 scale "Portland Quadrangle" topographic map shows "Green Lake".